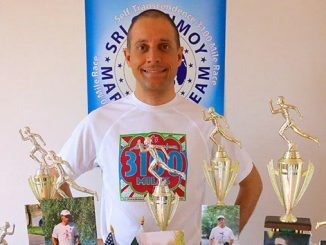 The 13th Self-Transcendence 3100 mile race got underway yesterday morning at 6:00 am in Jamaica, Queens in New York. The 13 runners gathered under cloudy skies to commence their journey that is the longest certified footrace in the world. Running concurrently with the Trans-Europe race reaching a climax in Norway, way inside the artic circle, these ultimate events in the multiday and ultrarunning world require deep focus, determination and dedication All these runners are offering something special to the field of running. Two runners are keeping blogs during the race in their own language and also in English. Jowan Gauthier is keeping a photo-journal.